Blackburn Rovers play host to Leeds United at their Ewood Park on day 13 of the new Championship campaign. 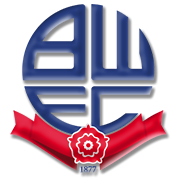 The Riversiders aim to build on a hard-fought 1-0 win over Bolton Wanderers and a victory over Leeds United will see them move a little closer to the play-offs places. Blackburn Rovers have been playing above expectations in the 2018/2019 Championship campaign and it is more than obvious that they are high on confidence. The Whites, on the other hand, were on the verge of suffering a loss to Brentford at home in their last league match, but Jansson’s late goal eventually helped them share the spoils with the Bees. Marcelo Bielsa aim to return to winning ways, but seeing that the Riversiders are tough to beat at home, we believe that there is a big value in betting on draw.